My macbook almost crashed when it was low on HDD space. I emptied about 10% of HDD, but still there were some glitches (some apps couldn't start up and so on), so I restarted the laptop. Restart didn't go well, resulted in some black screen with errors and now it hangs during login (both in normal and in safe mode). 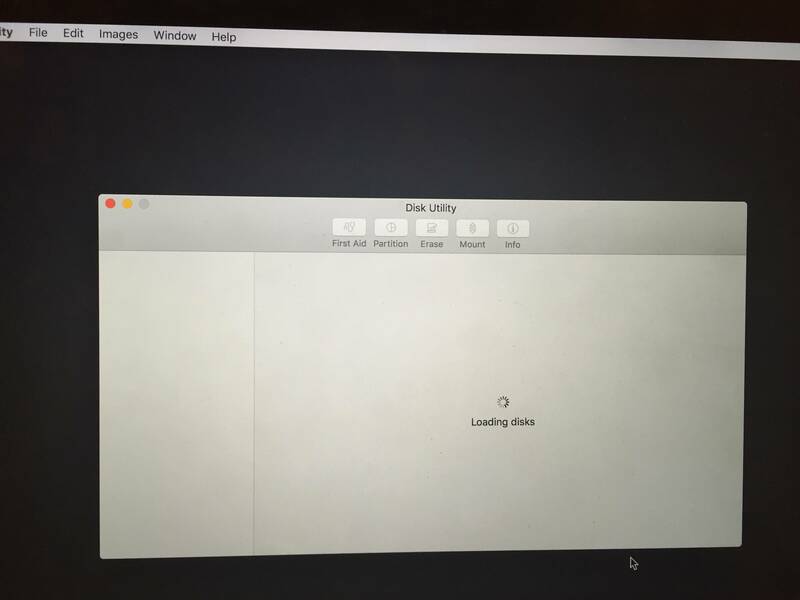 I booted up in recovery mode but disk utility hangs on "Loading disks", the picture is similar to https://i.stack.imgur.com/6xE6X.jpg. When I run diskutil list from terminal it stucks on showing info about /dev/disk2 (synthesized) - see photo https://i.imgur.com/hCQktX1.jpg. Afaik, the disk was encrypted. Any suggestion what can I try to restore it before attempting reinstall? (The only suggestion I found was killing fsck process - https://discussions.apple.com/thread/7281543 but there were no such in my case). Thanks a lot for all the ideas! Actually, "Reinstall macOS" from recovery mode also doesn't work: when I click "continue" as shown on picture in https://support.apple.com/en-ke/HT204904, "continue" button gets disabled but nothing happens. I guess it's because it tries to access the disk to show options where to install the mac os, but that "/dev/disk2 (synthesized)" has somehow so corruped structure that it hangs. Browse other questions tagged macos hard-drive disk-utility boot .